The U.S. will lift the tablet ban on Wednesday and could apply the same measure to laptops in cabins on flights from Istanbul, Turkish Transport, Maritime and Communication Minister Ahmet Arslan said. According to Arslan, a delegation from the U.S. Transportation Security Administration (TSA) will visit Istanbul Atatürk Airport this week to examine security measures in person. 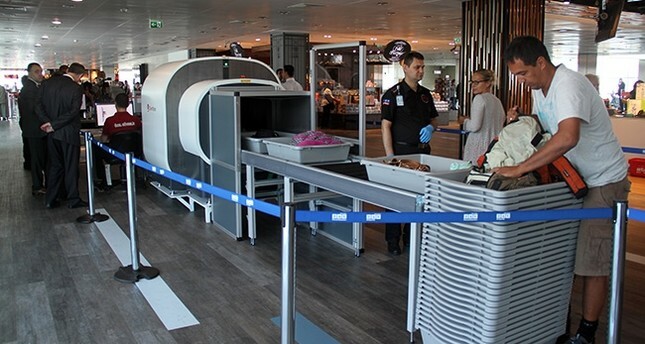 Citing two newly installed tomography machines in the Atatürk Airport, Arslan said Sunday that the so-called laptop ban will be lifted after examination by the U.S. officials. Tomography machines offer a high-definition, three-dimensional view of the contents of a bag, electronic device, or bottle of fluid. Similar CT machines were installed at airports after the September 11 attacks to identify explosives in checked bags. "We carried out technical discussions with the U.S. and the U.K., and informed them that security measures at our airports are above world standards," said Arslan. In March, the U.S. banned laptops in cabins on direct flights to the U.S. originating from 10 airports in eight primarily Middle Eastern countries – Egypt, Morocco, Jordan, the United Arab Emirates, Saudi Arabia, Kuwait, Qatar and Turkey. The U.S. lifted a ban on laptops in cabins on flights from Abu Dhabi Sunday, raising concerns over whether the airport would be a target for possible attackers attempting to breach U.S. security. The U.S. officials said that the United Arab Emirates' Etihad Airways had put tighter security measures into effect, as Etihad Airways welcomed the decision, crediting a pre-clearance facility at Abu Dhabi International Airport where passengers clear U.S. immigration before they land in the United States for "superior security advantages" that had allowed it to satisfy U.S. requirements.